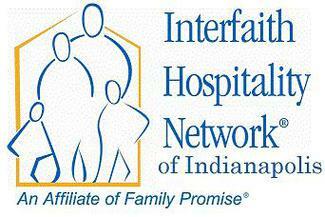 St. Mark’s will be hosting IHN guests May 26 - June 2 & we need your help with this important mission. Volunteer needs include: Dinner Hosts, Food Providers, Overnight Hosts, Van Drivers, Set Up, Tear Down and Laundry. Please see details and sign up below. Come to Wesley Hall at St. Mark’s at 5:00 p.m., stay until 8:00 when overnight hosts arrive. Share a prepared meal with the guests, provide hospitality and help with clean up. Great for families. No cooking required! Help unload beds and set up rooms before our guests arrive. Meet in Wesley Hall. Help take down the beds and return rooms to their usual set-up after our guests leave. Meet in Wesley Hall. Please list what you are providing. Dinner coordinator will contact you regarding how many people will be at the meal. Food should be delivered to Wesley Hall by 5:00 p.m. Collect and wash bedding & towels after guests leave on Sunday. Laundry will be ready to be picked up by 9:30 a.m. in Wesley Hall. Return clean and folded items to linen rack in Wesley Hall.